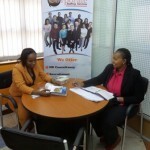 Our Client is a leading real estate company based in Nairobi, Kenya. They are seeking to hire an experienced Sales Executive who will be responsible for supporting the Commercial Manager in achieving sales targets within the assigned region by participating in sales and marketing activities. Contributing to the achievement of allocated annual sales targets for the region by proactively and rigorously engaging in sales activities. Maintaining contact with the clients in the market area to ensure high levels of client satisfaction. Assisting the Finance department in collection of receivables. Any other duties assigned to him/her. Must have a university degree in sales, marketing or business related field will be an added advantage. Should have at least three years’ sales and marketing experience in a real estate company, Experience in selling high end commercial and residential property will be an added advantage. If you are up to the challenge, possess the necessary qualification and experience; please send your CV only quoting the job title on the email subject (Real Estate Sales Executive) to vacancies@corporatestaffing.co.ke before 21st March 2019.